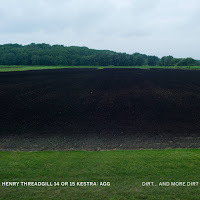 In a delightful surprise move, Pi Recordings pre-released the new album from Henry Threadgill on New Year's Eve (yes, last night). 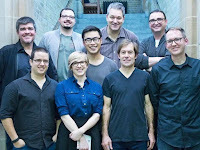 The recording features yet another new ensemble for the Pulitzer Prize winning composer and reed master, the 15-member 14 or 15 Kestra: Agg. Not sure what the name means but you can be sure that Mr. Threadgill has created music that blurs the lines between composition and improvisation, underpinning it all with the amazing flow from an expanded rhythm section. His Zooid group - cellist Chris Hoffman, drummer Elliot Humberto Kavee, acoustic guitarist Liberty Ellman, and the stunning tuba master Jose Davila - are all here augmented by members of his Ensemble Double Up - pianists David Virelles (also harmonium) and David Bryant, alto saxophonists Curtis Macdonald and Roman Filiu (who also plays alto flute), and drummer Craig Weinrib. Filling out the group are trombonists Jacob Garchik and Ben Gerstein, trumpeters Stephanie Richards and Jonathan Finlayson, plus bassist Thomas Morgan. The 15th musician is Mr. Threadgiill who appears on alto saxophone, flute, and alto flute. 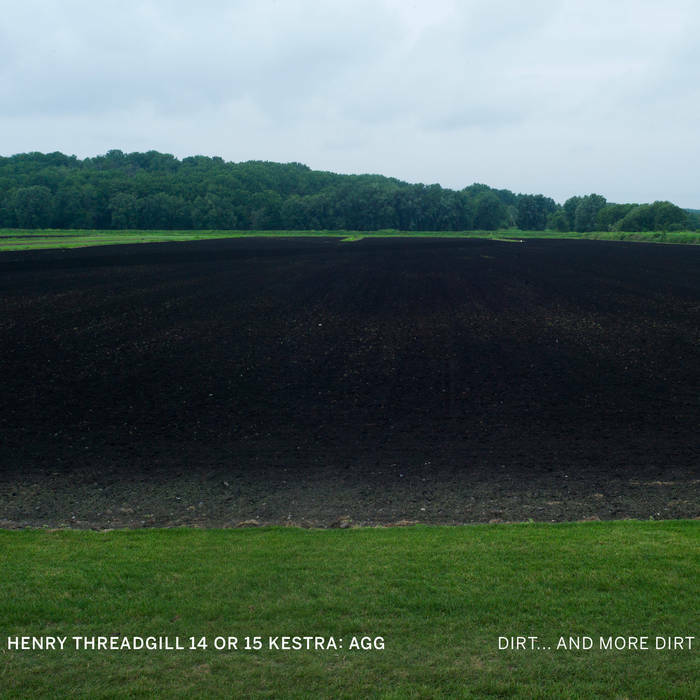 The album won't be officially released until Spring so you have to go to henrythreadgill.bandcamp.com/album/dirt-and-more-dirt to purchase it now as a download. 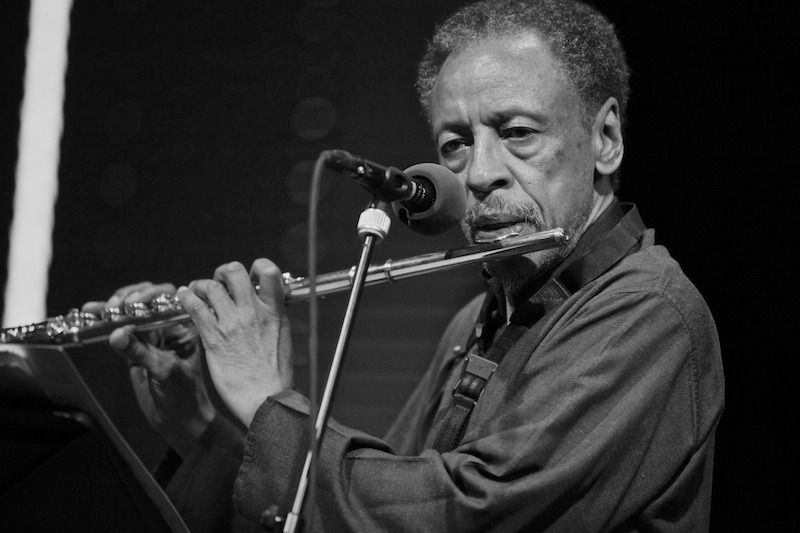 If you are a fan of Henry Threadgill, you'll go there and you will be more than pleased. It's a treat and a challenge, just like the New Year itself. Go and give a listen. It just might ward off the chill that has covered the United States over the past week or so. Worth a try! I've been driving around the past few months with the new CD by Carn Davidson 9 in my player. 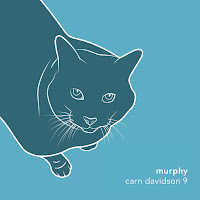 "Murphy" (self-released) is the nonet's second recording and continues the concept of the group's 2012 debut album; three reeds, four brass plus bass and drums, no chordal instruments. 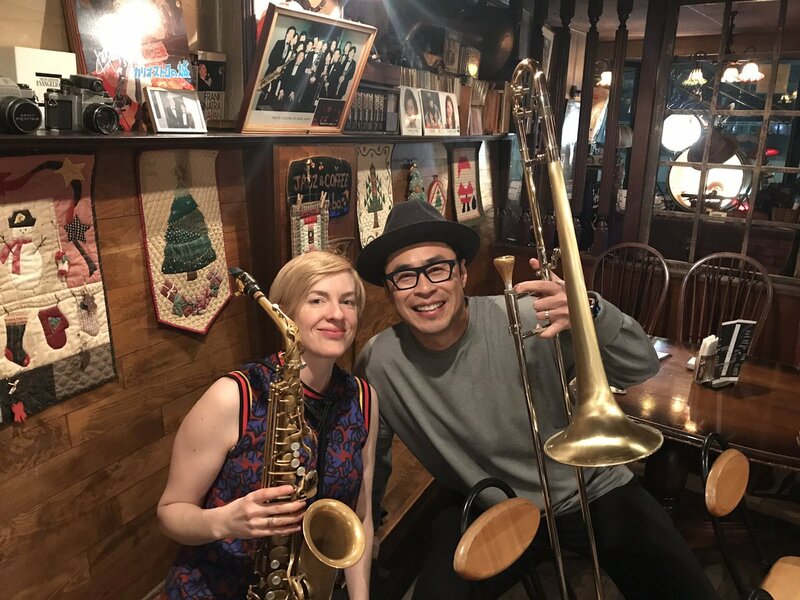 Led by William Carn (trombone, compositions) and Tara Davidson (alto sax, soprano sax, flute, clarinet, compositions), this band is a real community with arrangements by members. 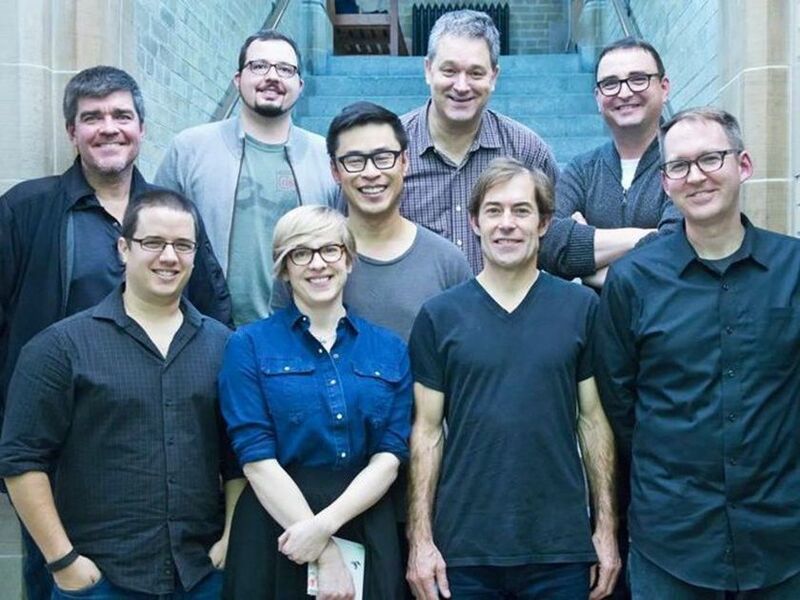 Most of the band from the debut album is back including Kelly Jefferson (tenor sax, soprano sax, clarinet), Perry White (baritone sax, bass clarinet), Jason Logue and Kevin Turcotte (trumpet, flugelhorn), and bassist Andrew Downing - joining the band are Alex Duncan (bass trombone) and Ernesto Cervini (drums). The eight pieces (four each for the co-leaders) make intelligent use of the various voices. Many of the melodies are carried by the sections, with counterpoint from the others, all driven by the delightful rhythm section. On Carn's "Glassman", vocalist Emilie-Claire Barlow because part of the band with her wordless vocals alongside the brass and clarinets. The beginning is rubato so the flow comes from the melody. When the rhythm section enters, Ms. Barlow's voice moves in and out of the arrangement during the solos. 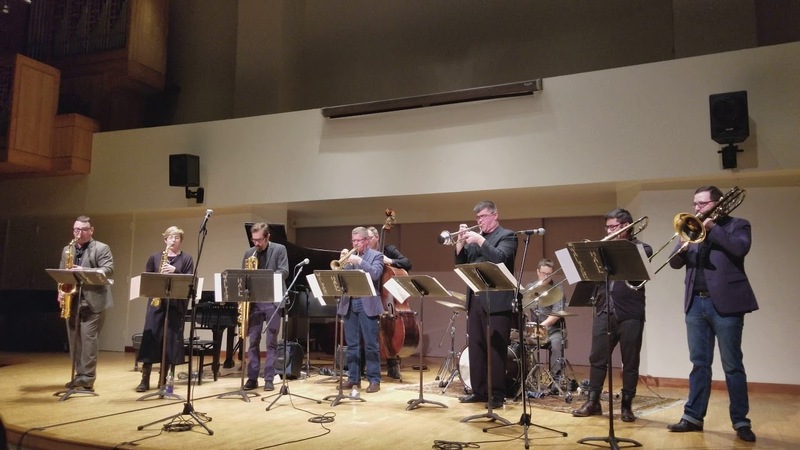 "Murphy's Law" has a delightful melody section that leads to a lovely and lengthy solo from White (on baritone sax): only near the close do the sections come in to dance around underneath him. There's a lovely classical feel in the reeds and brass melody that opens "Second Act (for Ron)". When the rhythm section enters, the melody is moved forward by the soprano sax, clarinet and flute. Listen to how the voices intertwine, interact, and work below the fine soprano saxophone solo. There is a symphonic feel to the arrangement (by Carn for his composition). Make sure to check out the excellent work by bassist Downing especially in the final third of the piece. "Reason, Season, Lifetime" dances in on a short riff from the saxophones, a riff that is repeated several tines throughout the piece. Check out how Jefferson's tenor solo picks up on the "dancing" motif now carried on by the rhythm section. The other "voices" do a sweet job framing the solo, moving in and out behind the tenor (trumpeter Logue's arrangement). Ms. Davidson has the other solo, her soprano sax lines slipping and sliding atop the rhythms while the sections match her energy as the intensity level matches up. The title track closes the album. Named for the for the co-leaders's cat, "Murphy!" (the exclamation point is added as a descriptor) is, at times, playful, slower, jumping around, feisty, but never aloof...you know, cat-like. There is even a touch of electronics on the tenor sax solo (could also represent the many personalities of a cat) and it's Cervini's exciting solo that brings the song and album back to its playful opening melody. Not quite a cat chasing its tail mor like one dashing through the house for reasons unknown to humans. For more information, go to www.taradavidson.ca or to www.williamcarn.com.